Kickstarter months are much longer than ordinary months. At least, so it seems to us! It’s also a really exciting time. But we’re nearing the finish line now. The current score is €2675 donated through paypal and €28,463 pledged on Kickstarter! That’s a total if €31,138. That’s seven-and-half stretch goals! Two, however, are already claimed by the choose-your-stretch-goal award. 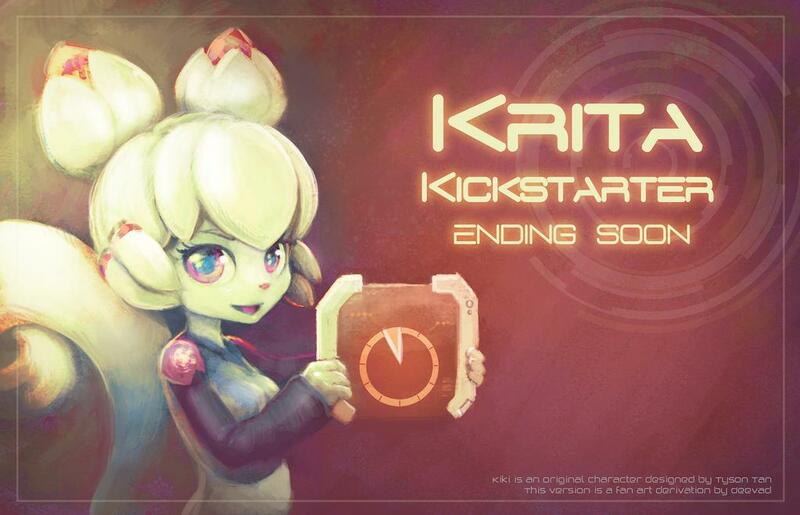 Big thanks to everyone who has joined to help make Krita better and better! In any case, time for a last sprint! This time tomorrow morning, the campaign is over!